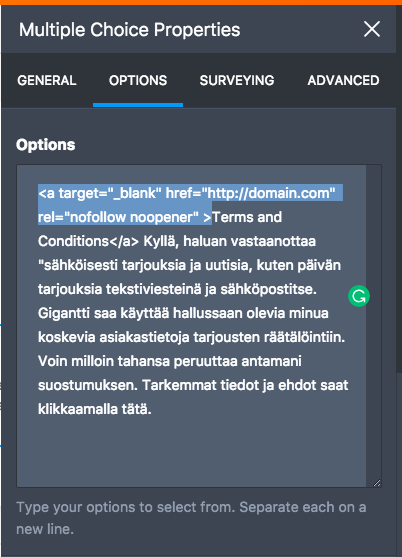 We need to add a link to terms in the checkbox on this form - https://eu.jotform.com/build/73523792786369. I know this was possible before, but it doesn't work now. How can this be fixed? Just replace the link (href) and text that will show (Terms and Conditions). Please check and let us know how it works. Thanks. I want this text to be shown last, but even if I add url last it comes first. How can I change this? Hi, I was going to change this text and it is no longer working. 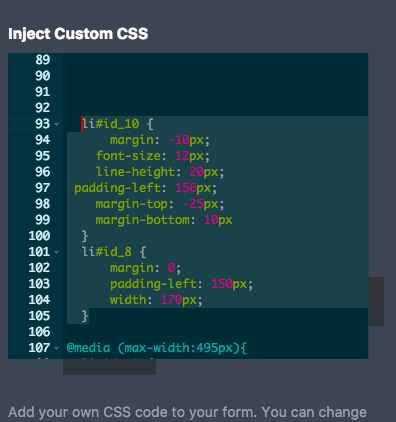 The html <a href… code is automatically removed when I paste it in. Can you please help me urgently? Below is the code that should be included. Hi, I was going to change this text and it is no longer working. 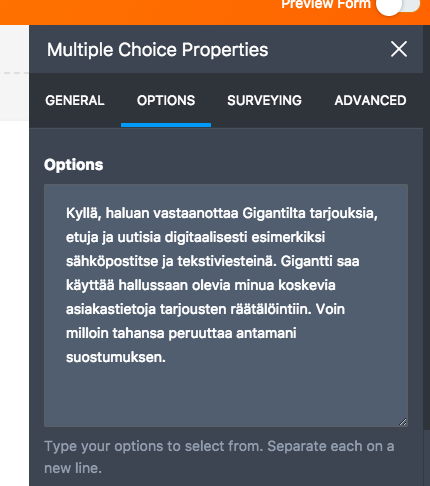 The html Kyllä, haluan vastaanottaa Gigantilta tarjouksia, etuja ja uutisia digitaalisesti esimerkiksi sähköpostitse ja testiviesteinä. 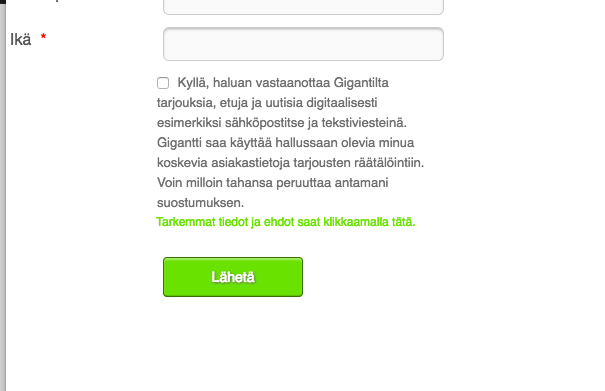 Gigantti saa käyttää hallussaan olevia minua koskevia asiakastietoja tarjousten räätälöintiin. Voin milloin tahansa peruuttaa antamani suostumuksen. Tarkemmat tiedot ja ehdot saat klikkaamalla tätä. I can reproduce the error. It refuses to add an HTML tag to the checkbox option. So I have escalated this issue to Level 2 support. They will investigate and post a response on this thread. 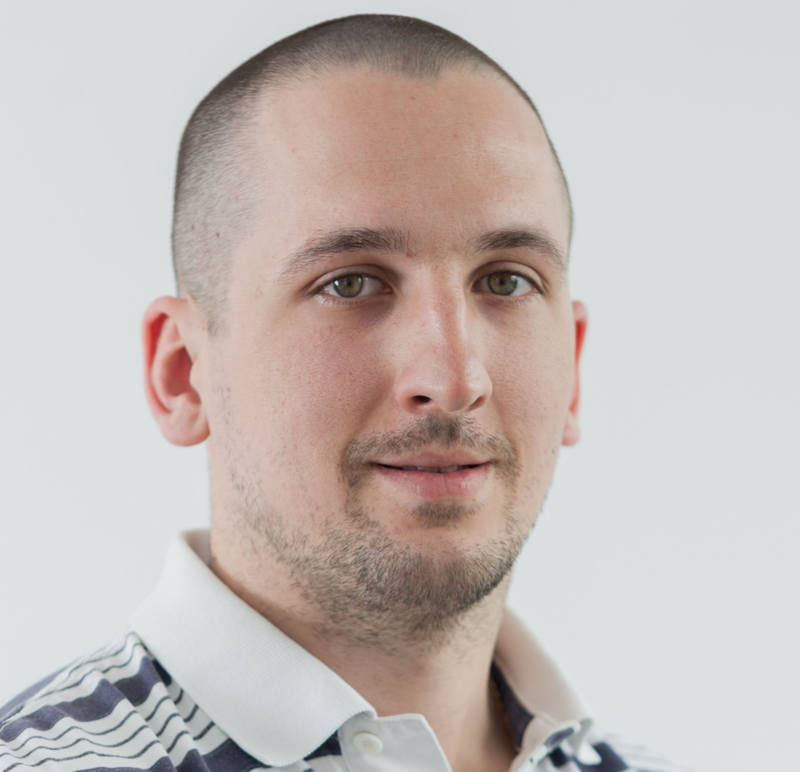 Most of HTML or CSS were purposely blocked to prevent cross site scripting attacks or XSS to our siete. So how can I add this url? It’s very important that this text is linked to terms and conditions so I want it to work like it did before. Where you can set the link properly. It should not be mandatory. And I want it to look and work exactly like you advised before. Let us know if you have any other question. Thank you. 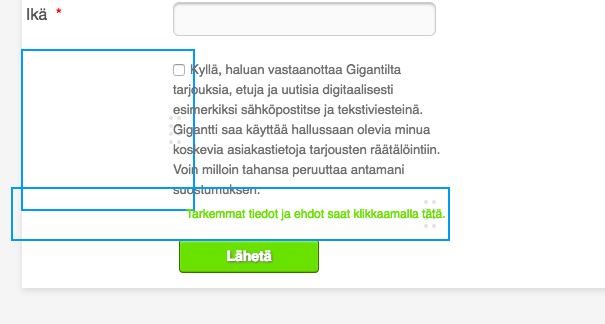 No, the link must come last and the checkbox together with the text. Just like the example you described previously. Please check your form now, it should be working fine. Please let us know if you need to modify anything else. Thank you! I need to see how many that have checked the terms and conditions box. Where in submissions can I find this info? That is because the option of the checkbox is not actually set, it's empty. The Text field is just moved with CSS so it is visually represented. Now, when the form is submitted, the text you added in checkbox will show in submissions. But we have received over 5000 submissions on this form now and of course I need to know how many that have clicked this field. Where can I find this info? 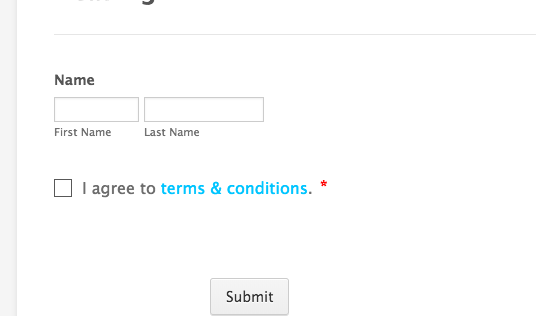 I tested form again and this field is still not visible in submissions. Needs to be fixed asap for new submissions! I fixed it myself but this is really, really bad. You should have told me that the checkbox would not be visible in the submissions when you set up this solution. Can I delete the old checkbox or is there someway you can retreive data? 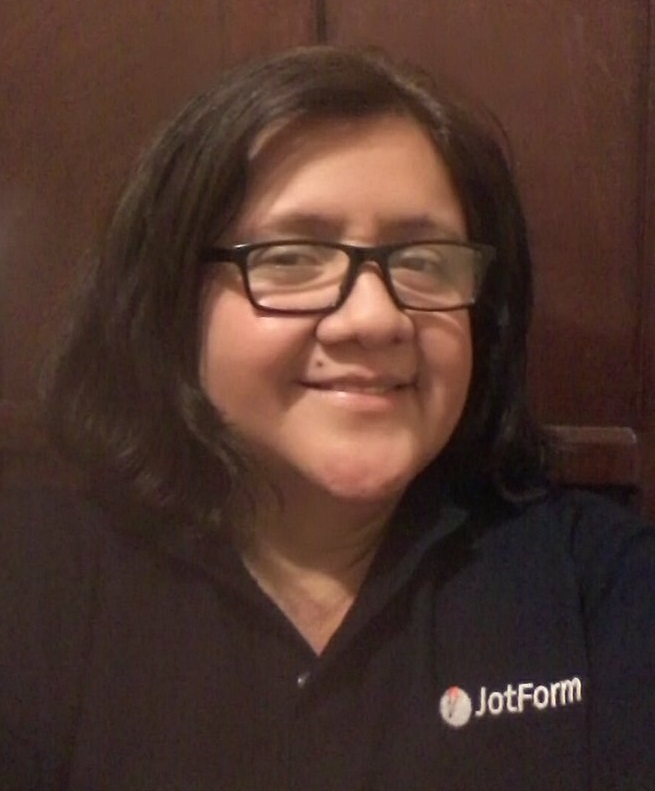 Do not delete the field, because it will delete all the associated data to that field. I will forward this to Level 2 and see if there is a way to retrieve the data from the checkbox that didn't have any text at first. HTML code are blocked in the multiple choice field as it is mentioned above. There was a conflict earlier because of this you could write them before. Unfortunately there is no way to retrieve the data from the checkbox because it has no text. We are sorry for the trouble that we caused. I can suggest you to use our 'Terms and Conditions' widget again. Thank you for your understanding. The option to add URLs to checkboxes OR radio buttons as OPTIONS is no longer supported? Yes that's correct. Hyperlinks in checkboxes or radio button is no longer supported. You can still insert a hyperlink within the text field.